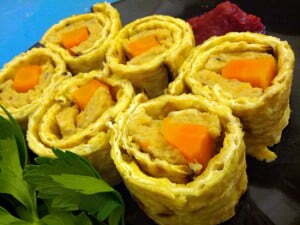 Are you tired of having the same boring Gefilte Fish every Passover Seder? From now on, you don’t have to! 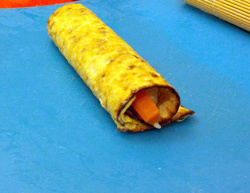 Introducing – the Gefilte Sushi. A revolutionary dish that’s a combination of east and west, old and new, savoury and.. tradition! Cut the carrot into long and even sticks, about 1cm thick, and boil in a small pot for a few minutes until soft. Cut the Gefilte Fish balls into 1cm thick slices, and leave it to rest. 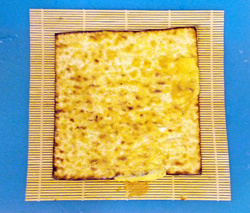 Soak the Matza in warm water for about 2 minutes. 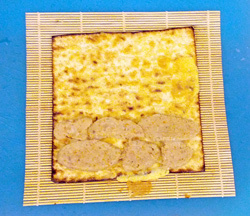 Put the soaked Matza on a large frying pan, and cover it with the egg from both sides. 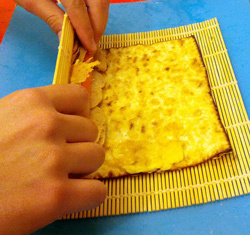 Fry the Matza-omlete (a.k.a Matzah brei)and place it on a bamboo rolling mat. 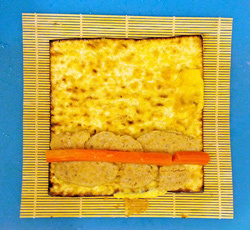 On top of the Maze brei, place two even rows of Gefilte Fish slices. On top of the Gefilte slices, put one even row of boiled carrot. 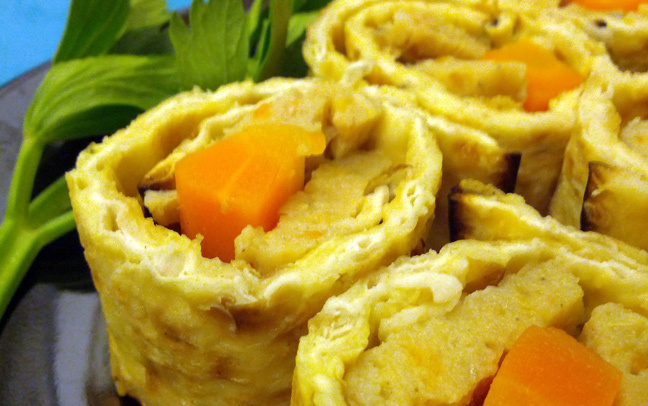 I actually stumble to this blog while searching for Gefilte Sushi recipes. This is really helpful. Many thanks!